Blizzard fans are going to have to wait a little bit longer for any major new titles from the company. 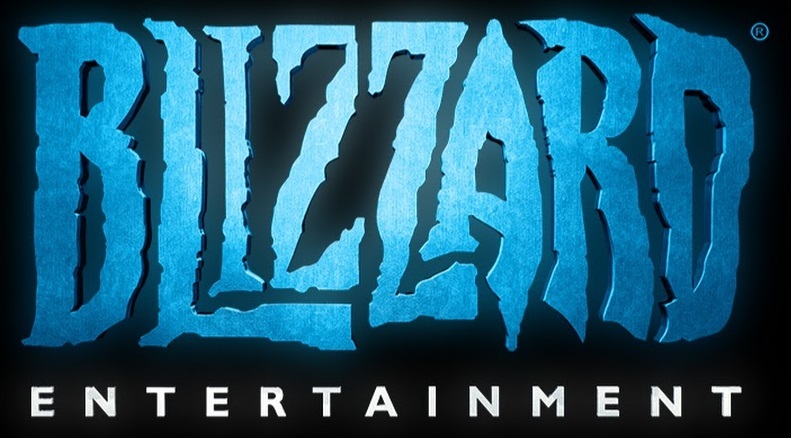 In a conference call accompanying yesterday's quarterly earnings announcement (where the company announced record results and significant layoffs), Activision Blizzard CFO Dennis Durkin said the company is "not planning a major frontline release for Blizzard in 2019," and it expects "materially lower financial performance" for the developer in the coming year. That doesn't mean Blizzard will be taking the year off, of course. The company will be diving into its past catalog for previously announced releases like World of Warcraft Classic and Warcraft 3: Reforged, both coming later this year. Continuing games like Overwatch and Hearthstone will also see their usual slate of regular content updates. But Durkin's statement makes it clear we'll have to wait until 2020 for any truly new titles from Blizzard. That includes the recently announced mobile Diablo Immortal and any other PC or console-based Diablo titles. It also means no new World of Warcraft expansion is expected for the year—Durkin specifically used 2018's Battle for Azeroth expansion as a contrast with the 2019 slate. Game publisher Activision-Blizzard will lay off 8 percent of its work force, or around 775 people, CEO Bobby Kotick announced on the company's earnings call today. The move is being made in an effort at "de-prioritizing initiatives that are not meeting expectations and reducing certain non-development and administrative-related costs across the business," Kotick explained. The layoffs, which will mostly be in non-game-development areas like publishing, will impact Activision, Blizzard, and King. In one case, an entire studio of 78 people was shut down—Seattle-based mobile game studio Z2Live. This is in spite of Kotick saying that the company achieved "record results in 2018." Activision made a statement about exceeding its expectations, but other market-watchers clearly had higher numbers in mind. The implication is that the positive results reported came thanks to a fairly narrow bench of franchises, with many of the company's efforts outside those franchises not meeting expectations. Enlarge / You could get paid for your now-crippled version of Guitar Hero Live. American players who purchased Guitar Hero Live recently may be eligible for a refund being offered by Activision. 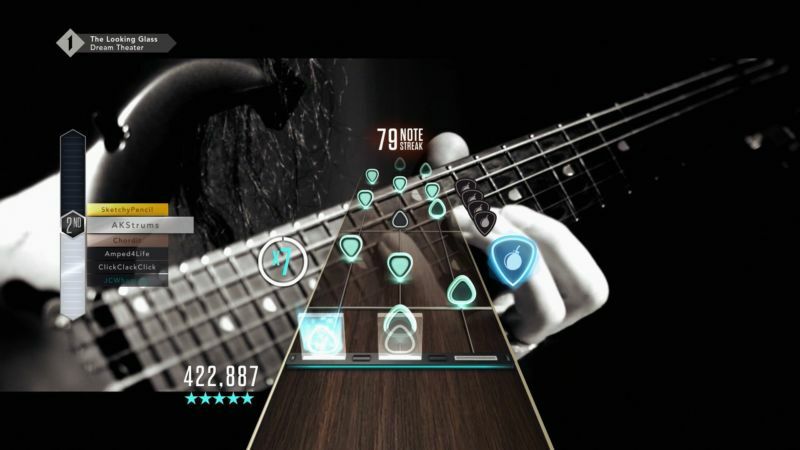 The move comes after a lawsuit over the December shutdown of the game's streaming "Guitar Hero Live" mode, which included more than 90 percent of the game's available song library. Activision's support page was updated recently to announce what it is calling a "voluntary refund program" for anyone who purchased Guitar Hero Live between December 1, 2017 and January 1, 2019. Those players have until May 1 to fill out a claim form and submit proof of purchase (a receipt or credit card statement) for a refund up to the purchase price. Activision announced last June that it would be shutting down the Guitar Hero TV servers in December, more than three years after the game's late 2015 launch. That move cut off in-game access to more than 480 in-game songs that were only playable via live streaming channels or microtransaction rentals through the server. Console versions of the game still have access to 42 songs included on the game disc, but the iOS and Apple TV versions of the game are now completely unplayable. The publishing deal that brought Halo's creators together with the publisher of Call of Duty has ended—two full years before it was originally slated to end. Seattle-area game developer Bungie will soon become the sole publisher and handler of the Destiny online-shooter series that it developed in partnership with publisher Activision. 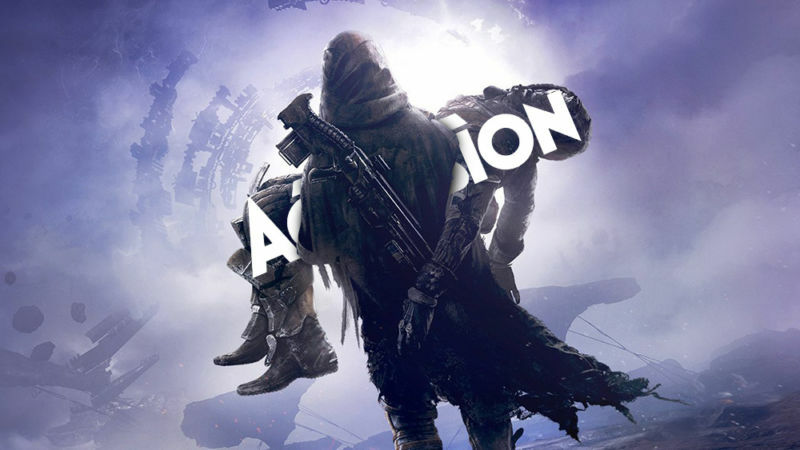 Bungie announced the news on Thursday via a blog post titled "Our destiny," in which the studio declared that plans were already in motion "for Activision to transfer publishing rights for Destiny." The post begins with a specific framing: that during the game's plotting phase in 2010, in order "to launch a game of that magnitude, we needed the support of an established publishing partner." Bungie's post thus implies—but doesn't outright state—that the developer no longer needs said support. More crucially, it does not make clear what exactly will unfold as a result of the 10-year deal signed in 2010 by the developer and publisher—meaning, whether either party owes the other anything for an early termination. More than 35 minutes of Spyro Reignited Trilogy cut scenes, none of which can be enjoyed by deaf or hard-of-hearing gamers (or those with the TV on mute). 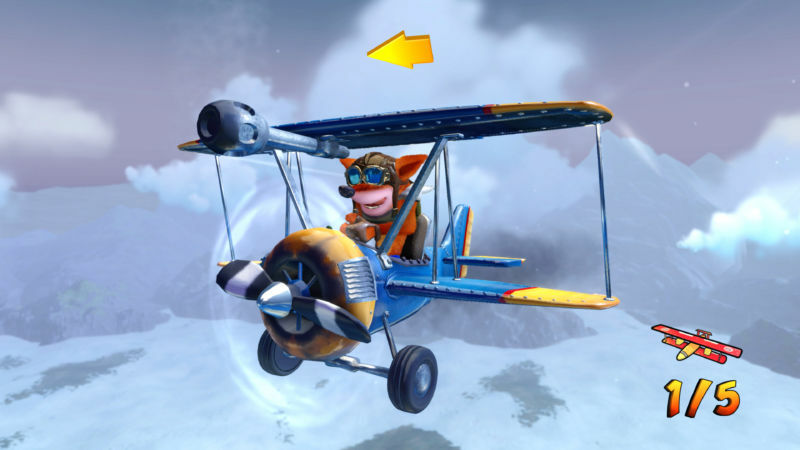 Update (March 13, 2019): Four months after its release, the latest patch notes for Spyro Reignited Trilogy note that the game has now "added subtitles in all languages (across all three games) for previously unsupported cinematics." The subtitles, which can be toggled on or off, include "character headers to identify active speakers; succinct line splits for readability; [and] colored text for improved character association in most languages," according to the notes. Activision and Toys for Bob have yet to add similar subtitle options to 2017's Crash Bandicoot N-Sane Trilogy. To be fair, Call of Duty: Black Ops 4 changes more than most. The highly choreographed, extravagantly cinematic single-player campaign that has been de rigueur for the series' entire lifespan has been excised. 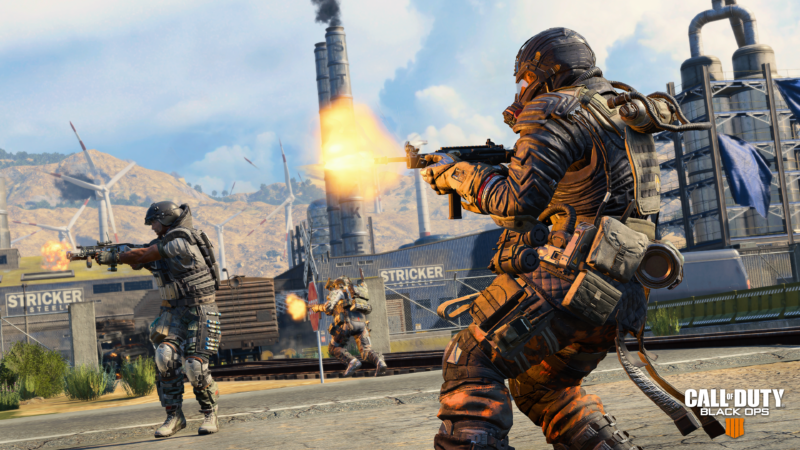 That leaves an awkward hole at the core of the experience, which developer Treyarch has filled with Blackout, an 88- to 100-player battle royale mode in the vein of Fortnite or PlayerUnknown's Battlegrounds. The rest of the game modes—the standard-by-now multiplayer suite and the ridiculous but addictive Zombies mode—fall in line around Blackout, creating a three-tiered experience of hyper-violence and militaristic energy. Black Ops 4 is the biggest single-game change for the Call of Duty franchise in ages. But it's still, when it comes right down to it, just another Call of Duty. Black Ops 4 doesn't present its content in any particular order. As a player, you can jump freely between its three modes, and nothing—except for player progression in each mode—is gated from the start. The natural place to start, though, is Blackout, the newest part of the Call of Duty package, both the most derivative and the most distinct mode on offer. 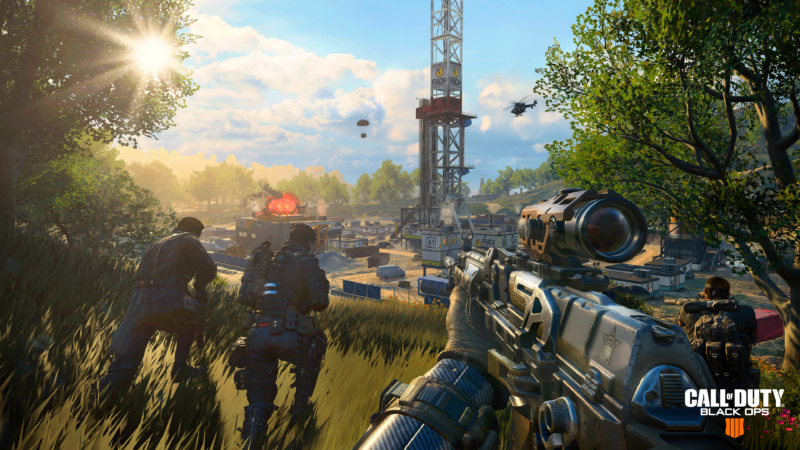 Taking place on a sprawling map stitched together from locations and motifs in Call of Duty's multiplayer past, Blackout heavily resembles just about any other battle royale game, both in concept and execution. Our own Mark Walton plays Destiny 2 at 4K and 60 fps on PC. Here at Ars, we spend a lot of time talking about how developers deal with the trade-offs between resolution, frame rate, graphical detail, and simulation complexity they face at the top end of modern console and PC hardware. Quite often, the first-blush “wow factor” of more pixels and higher frame rates wins out in this constant balancing act. For Destiny 2, though, Executive Producer Mark Noseworthy says the team prioritized the complexity of the game itself over hitting a frame rate higher than 30fps. It’s about the simulation of the Destiny world. Thirty AI at once, large open spaces, six players, sometimes with vehicles, and dropships coming in; that’s where we’re using the CPU. Could we make a Destiny game that ran at 60fps? Yes, but the space would be smaller, it would be less cooperative, and there’d be fewer monsters to shoot. That’s not the game we want to make. First and foremost, we’re trying to make an incredible action game. We don’t feel we’ve been held back by the choices we’ve made about world simulation versus frame rate; in fact, we think we’re offering a player experience you can’t have elsewhere because of the choices we’re making. Put like that, the trade-off doesn’t sound like a bad one. Yes, a game that’s locked to 30fps looks markedly worse than one running at 60fps or more, all things being equal. The resulting lack of smoothness is especially noticeable in a reflex-based shooting game like Destiny 2 (though the server’s internal tick rate has arguably more impact on how the game feels). That said, a smoother Destiny 2 with fewer simultaneous enemies and fewer player characters in smaller battle locales would probably be noticeably worse to play, too. As long as the game can run steadily at a playable 30 frames per second, without dips, that sounds like a perfectly acceptable trade. Enlarge / Sweet hat, Crash. Crash Bandicoot generally doesn’t get the same kind of love as classic gaming mascots like Mario and Sonic in gaming’s nostalgia-obsessed zeitgeist. So the success of the recent Crash Bandicoot N. Sane Trilogy re-release is taking even publisher Activision by surprise, and it has the company thinking about reviving other classic properties. N.Sane Trilogy was the top-selling game globally for the month of June, Activision said during a recent conference call, despite being only available on one console for two days of the month. The game was also the most downloaded title on PSN for July, according to Sony, results that “outperform[ed] even our most optimistic expectations” as Activision put it. That success is even leading to what’s probably the first ever example of some popular Crash Bandicoot-themed memes.